In the Philippines, the Chinese company has priced its smallest — and most ambitious — handheld device yet at P23,200 or approximately $443. And, yes, it’s more expensive here than, say, in the U.S., where it costs $349 (P18,294) before taxes. Hardly a surprise considering DJI’s products tend to cost more in the Philippines than in other markets, possibly due to tariffs and shipping considerations. The camera itself is impressively capable as it is impressively small and lightweight, standing just four inches tall and weighing a little over 100 grams. We absolutely love its compact form factor — very pocketable (thus the name) and small enough to be with you at all times. With a mounting bracket, which DJI sells separately, it should give the GoPro Hero 7 and similar action cameras a run for their money. 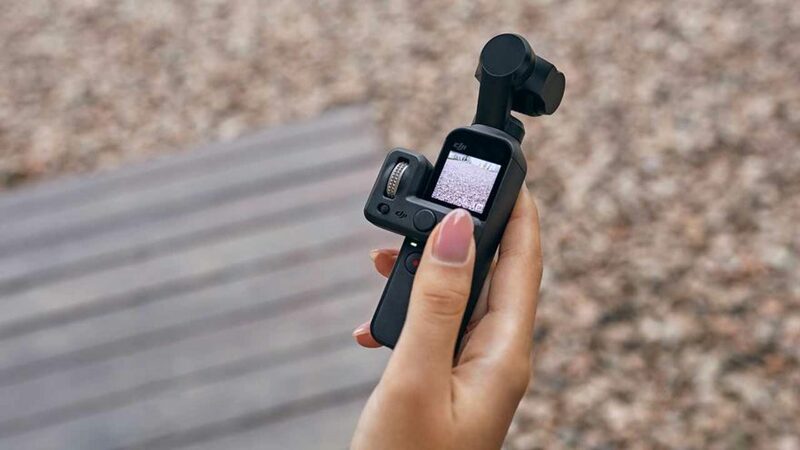 DJI also plans to sell other accessories for the Osmo Pocket, including a controller-wheel attachment and a base that supports remote control. The Osmo Pocket will ship with a 3.5mm adapter for external microphones if you want better audio than what the built-in dual-mic system can record. For shooting 12-megapixel stills and stabilized footage, the camera is connected to a three-axis gimbal and uses the same sensor as the DJI Mavic Air, Mavic Pro, and Mavic 2 Zoom drones, able to capture 4K video at up to 60 frames per second at 100Mbps. You also get advanced shooting modes, such as auto panorama, object and face tracking, and time-lapse. 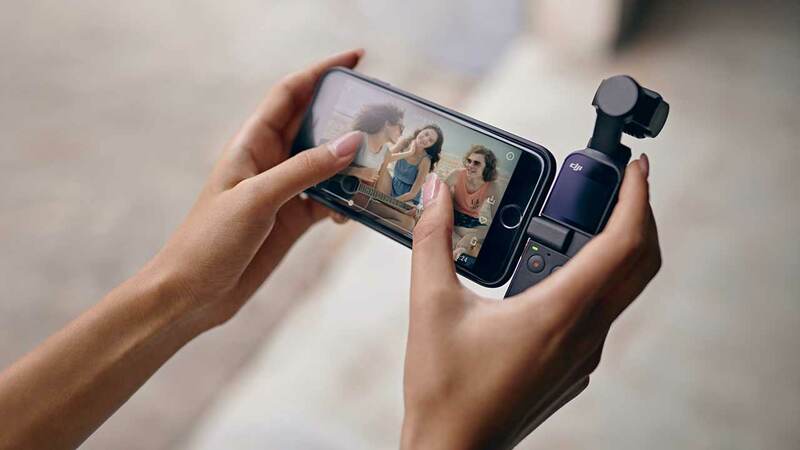 You can attach the DJI Osmo Pocket to your USB-C handset or iPhone to control the camera and gimbal directly from a bigger touchscreen and listen to audio capture. The rod that holds the gimbal upright has a battery that has been claimed to deliver up to two hours of continuous 4K video recording, despite the Osmo Pocket’s size.